With Apple having brought Control Center – a toggle system à la SBSettings – as well as the Notification Center to the lock screen with iOS 7 beta, many have indicated that they will perhaps not be jailbreaking when the forthcoming version of Apple’s iconic mobile OS hits the end user this fall. Apple has worked hard to bring in quite a few features that jailbreak fans have long since craved for, but despite this, the closed nature of iOS will mean the jailbreak system continues to thrive, and one designer has come up with a screenshot of what Cydia may look like if it ever did grace iOS 7. It’s awesome, and we want you to definitely check it out! iOS 7 beta was announced a week ago by Apple at its annual WWDC event, and such is the extent of the changes Apple has made to its mobile OS, that opinion has been well and truly divided. Apple appeared to quietly tone down a few of the home screen icons on its iOS 7 page towards the latter stages of last week, which suggests that maybe one or two within Cupertino agree with the notion that those icons are just too darn bright, but with many still reeling about the new look, it’s more than likely that the cries for a jailbreak will be just as loud and frequent later on this year. 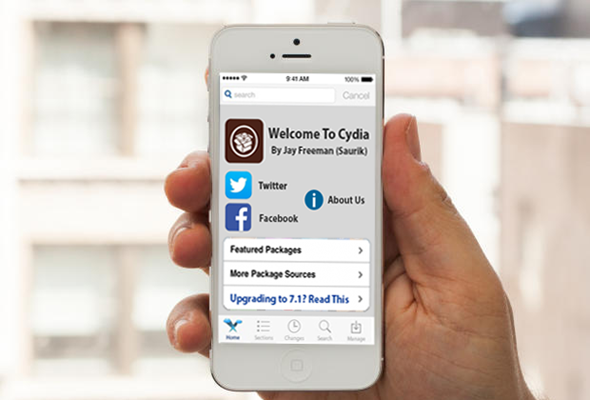 Cydia is the nucleus of any jailbroken device; a GUI for packages to be installed without verification from Apple or the App Store. Created by Jay Freeman a.k.a. Saurik, it has served many millions of iPhone, iPad and iPod touch users over the past few years, but with iOS 7 taking a flatter, all-white approach to design, perhaps Cydia will too need an aesthetic tweak or two of its own. 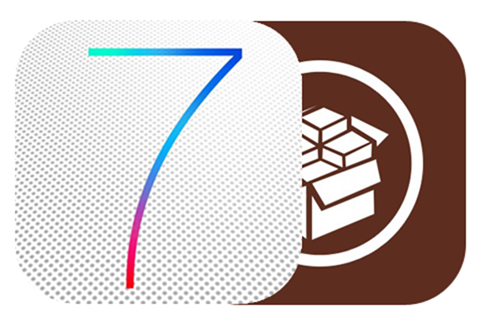 Whether or not this is on Saurik’s to-do list remains to be seen, but in the meantime, one Stephen Goodings has thrown together an illustration offering a visual representation of what Cydia could look like if it were given an overhaul in the image of iOS 7. Although it is of low resolution, it is in-keeping with the new look iOS 7 and is certainly a lot cleaner than the current appearance of Cydia. Does Cydia need such a change? I would say no, since to me, Cydia is a 100% functionality-centric app concentrating on enhancing the general user experience. What do you think? Does this new-look Cydia interface float your boat? Share your thoughts below!